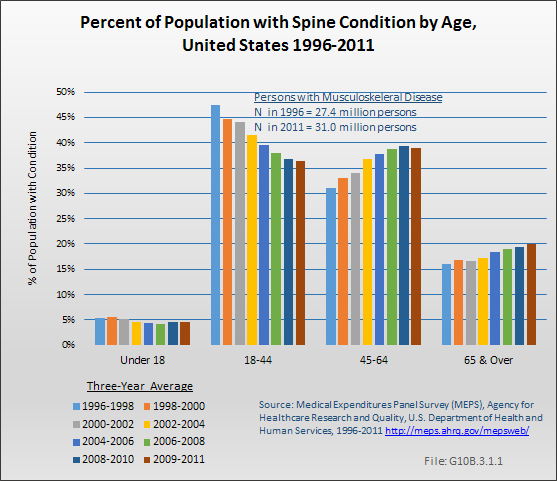 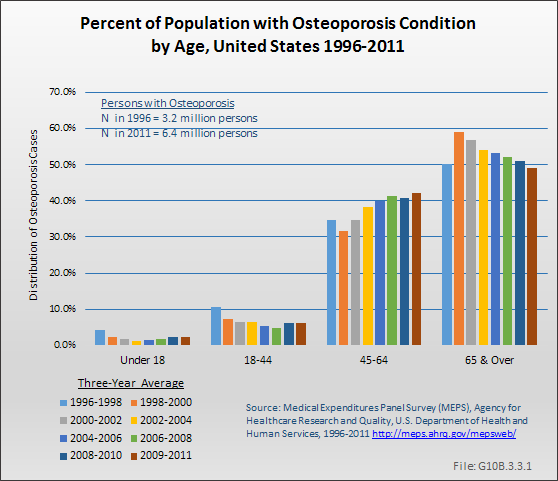 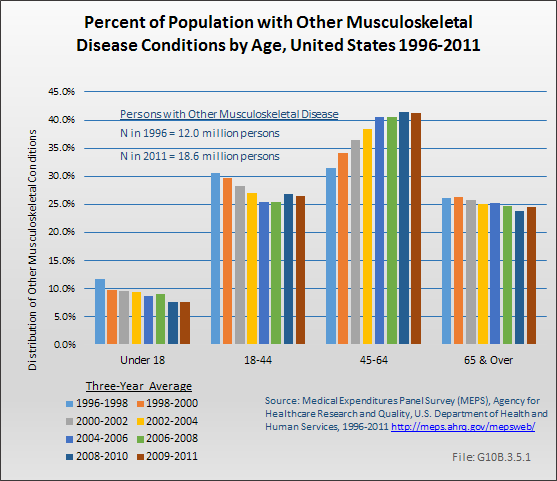 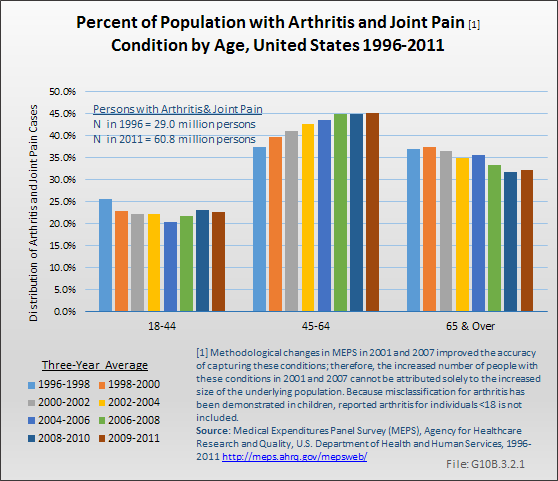 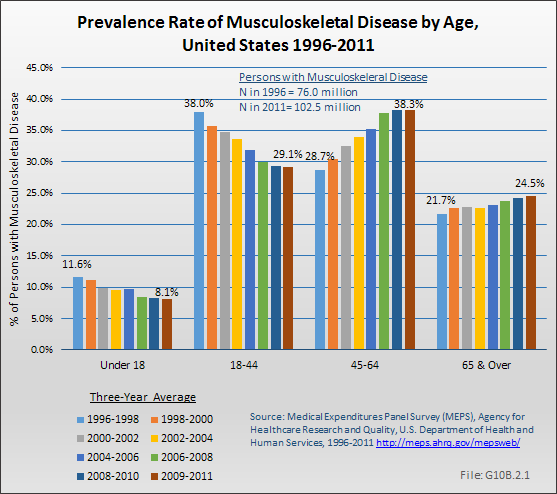 The aging of the population has increased the prevalence and prevalence rate of musculoskeletal conditions as well as health care expenditures. 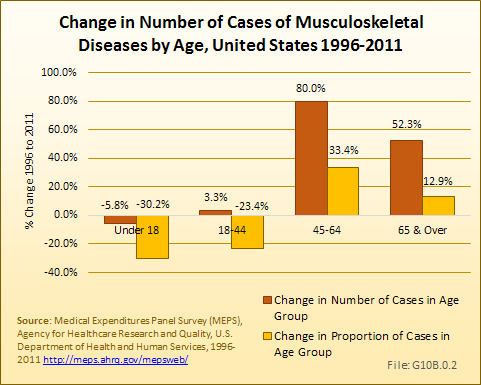 In the years 1996 to 1998, an average of 22 million persons age 45 to 64 years reported a musculoskeletal condition, while 16.5 million of those 65 years and older did so. 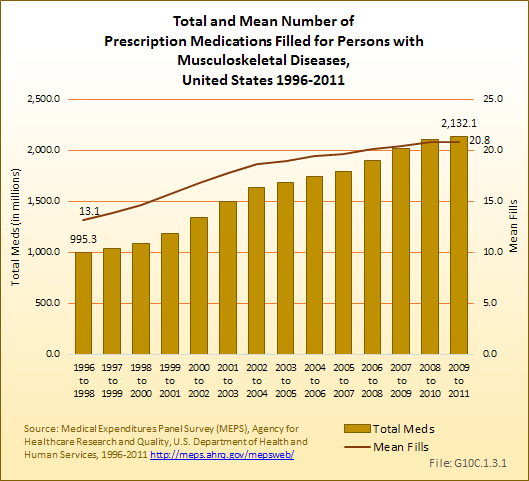 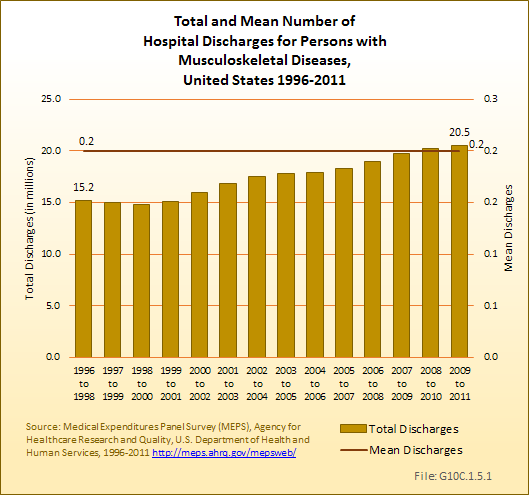 By 2009 to 2011, these numbers had increased to about 39 million and 25 million, respectively. 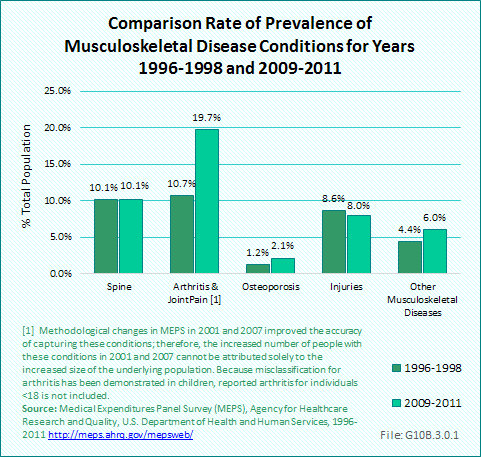 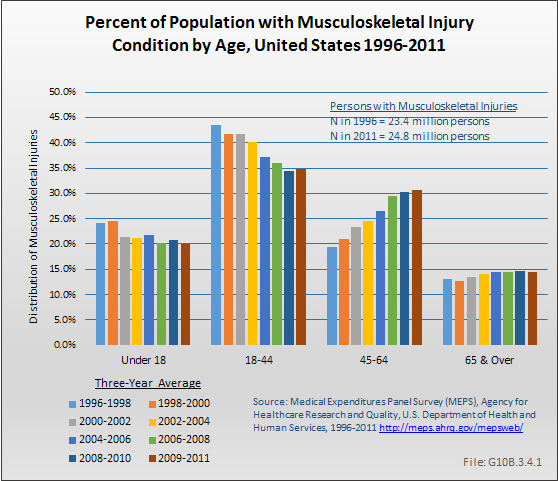 The prevalence rate of musculoskeletal conditions among persons 45 to 64 years increased from about 29% in 1996 to 1998 to about 38% in 2009 to 2011, while it increased from about 22% to about 25% among those 65 years and older. 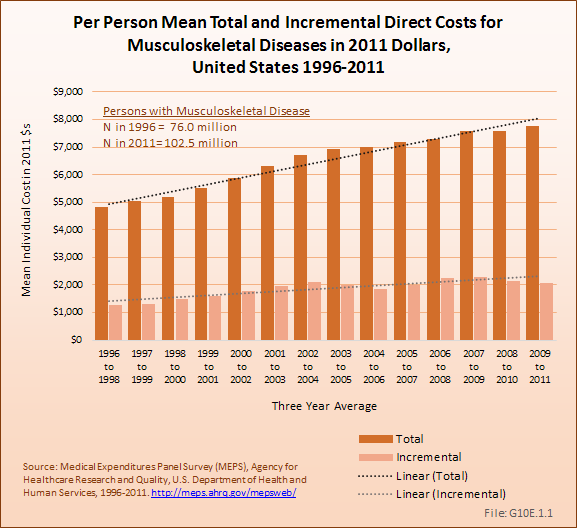 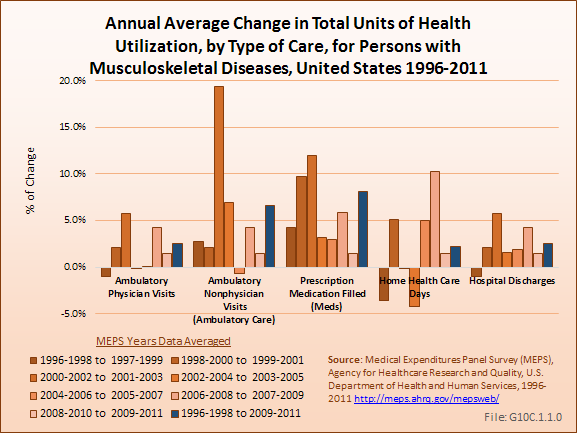 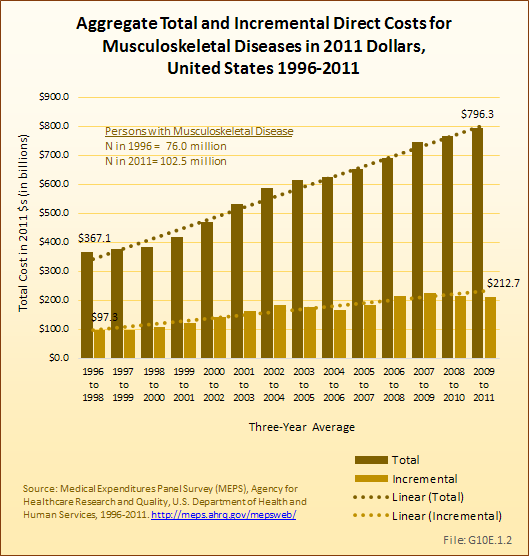 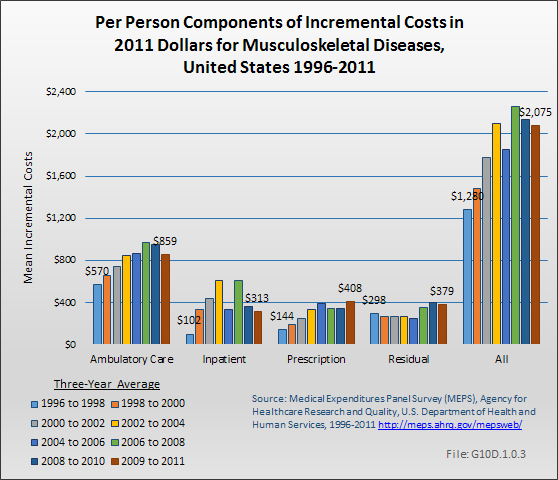 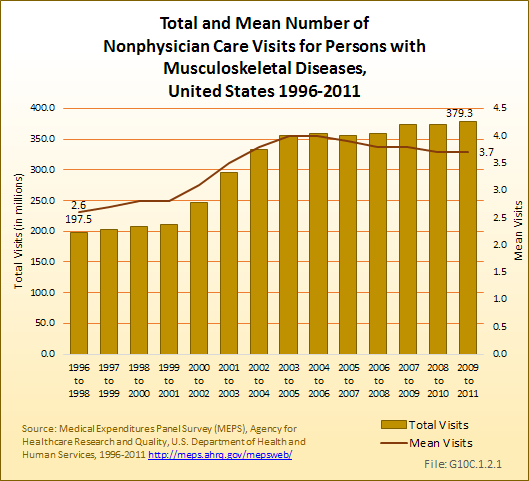 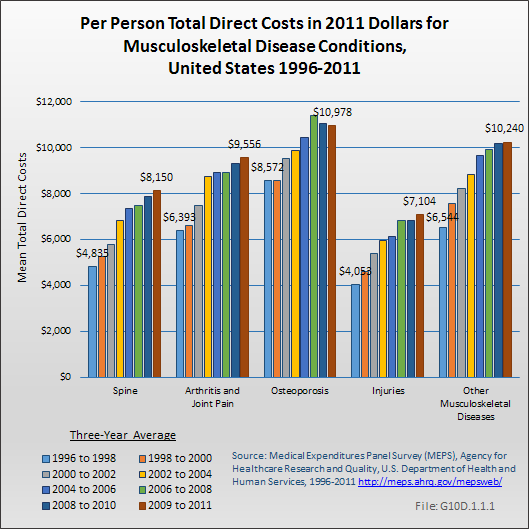 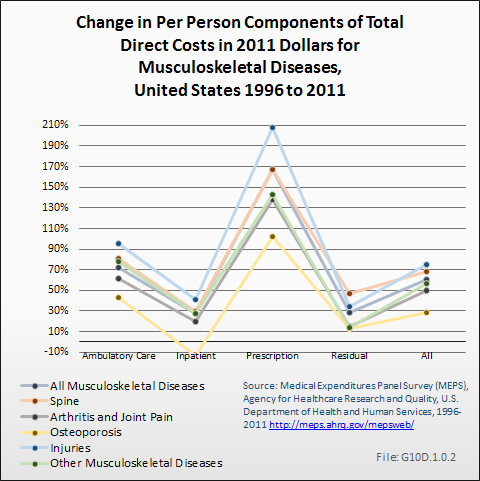 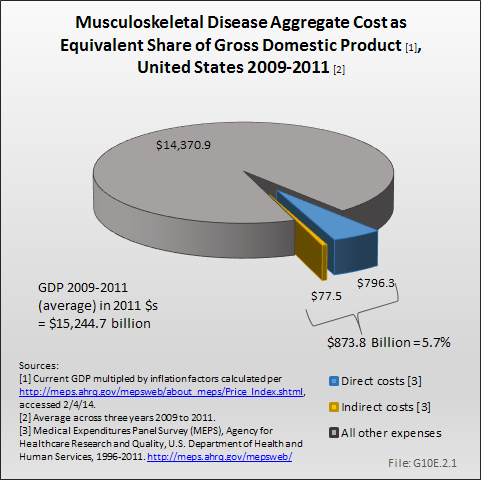 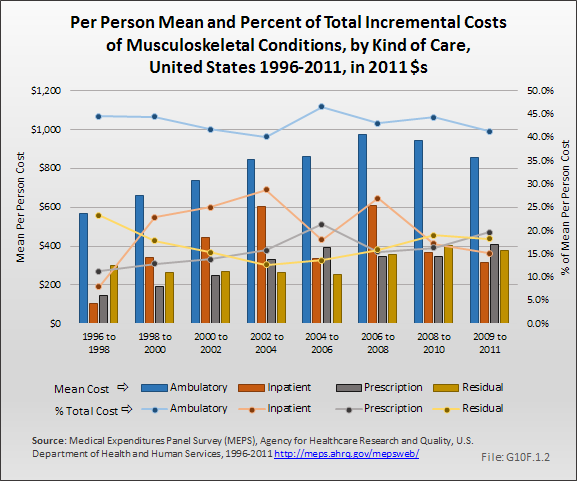 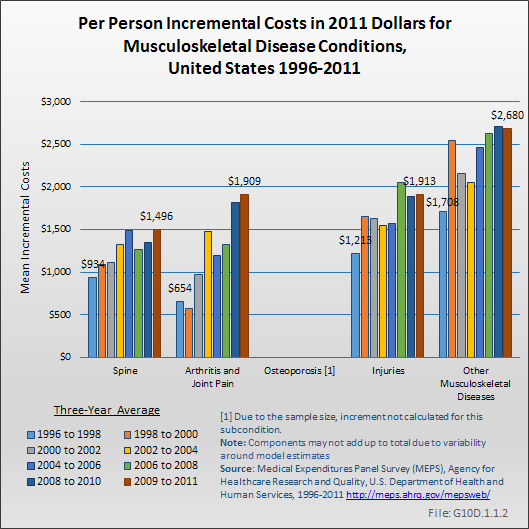 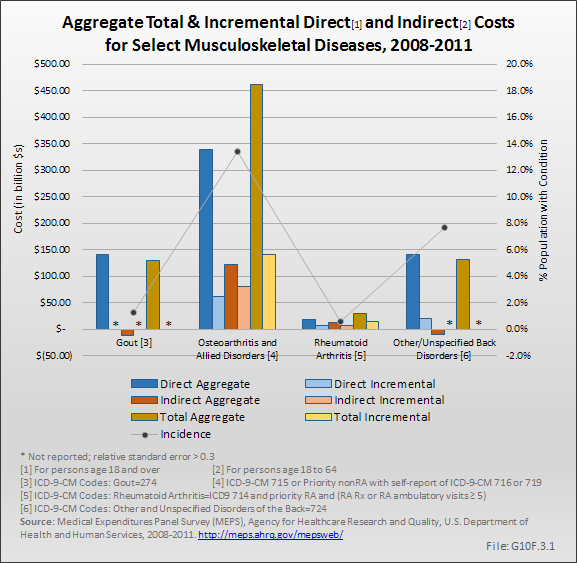 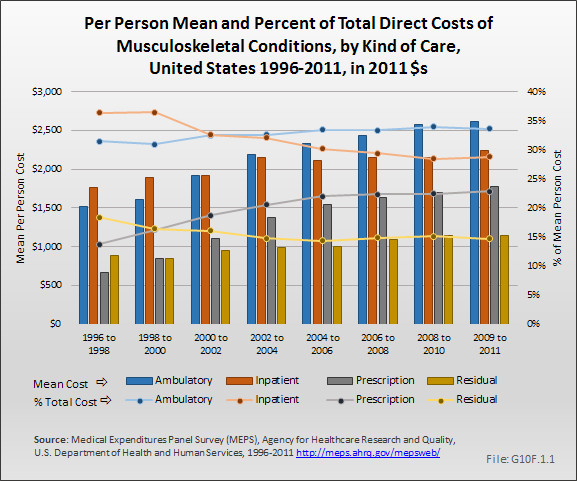 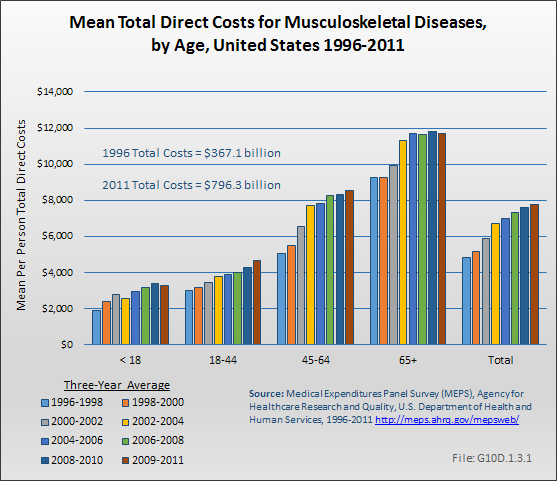 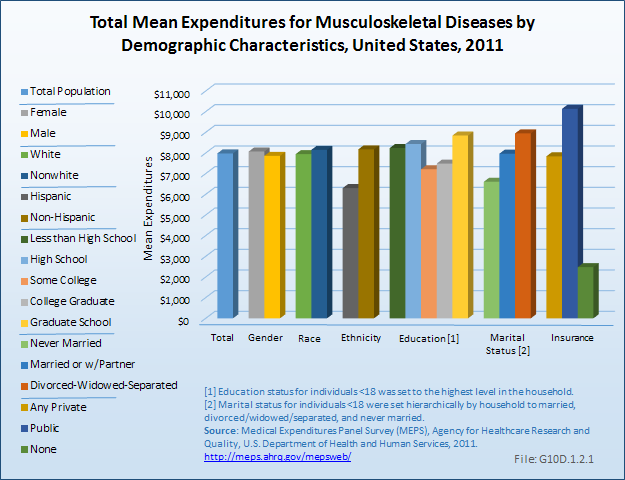 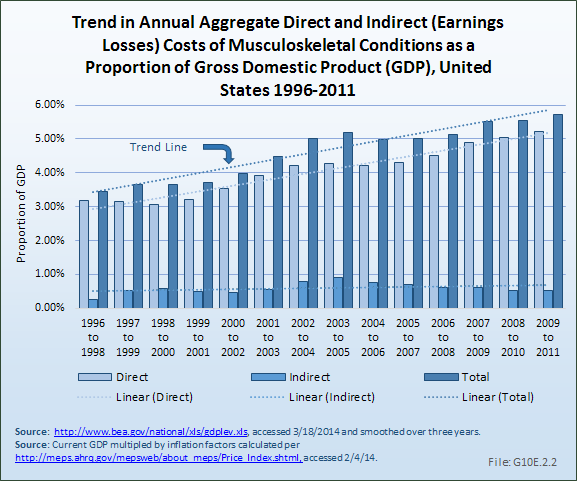 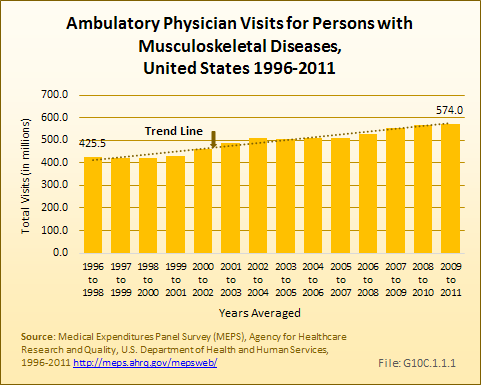 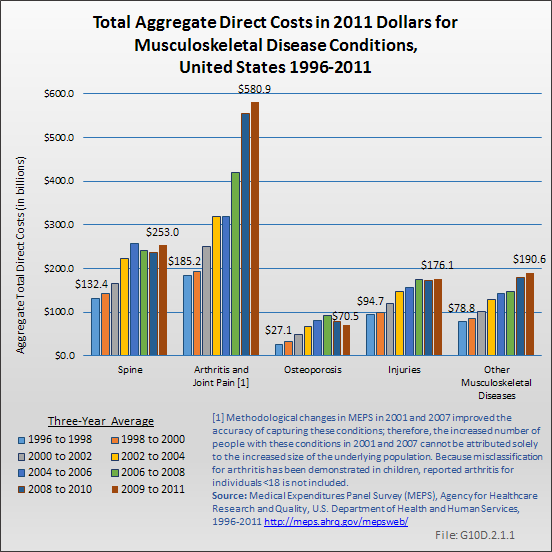 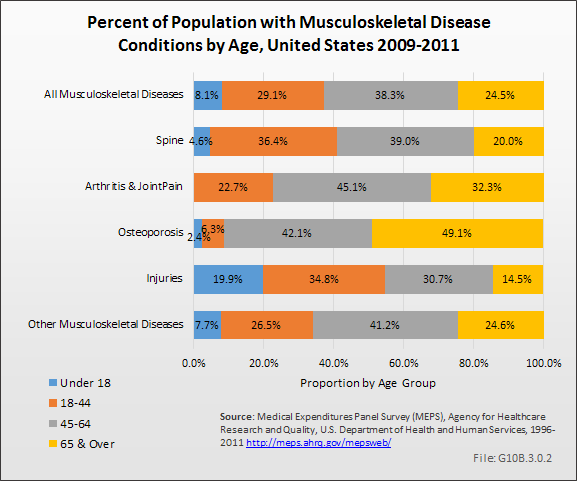 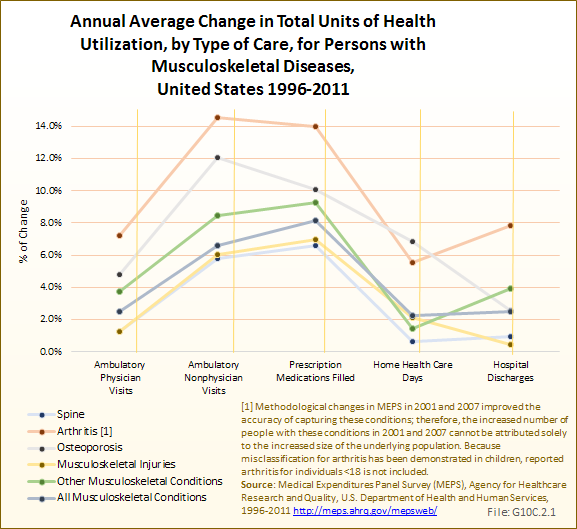 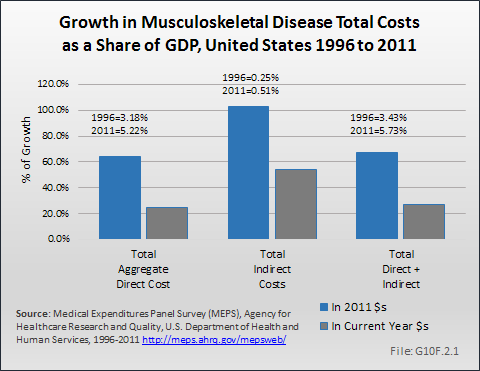 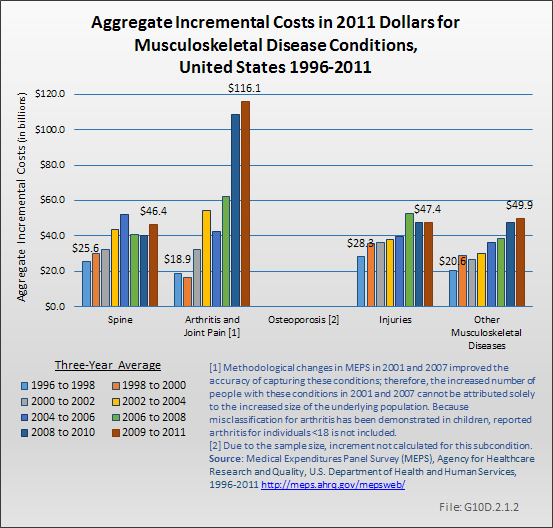 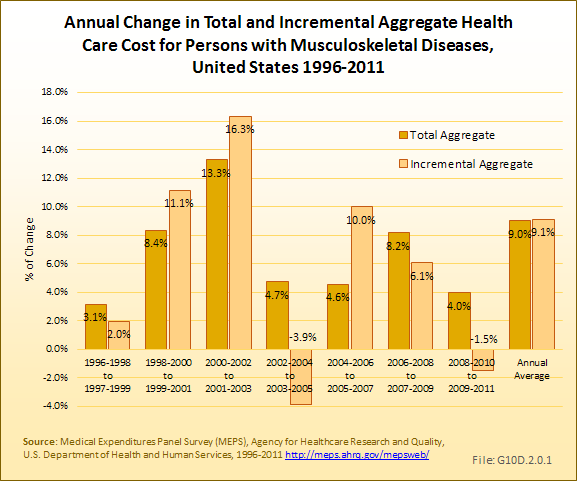 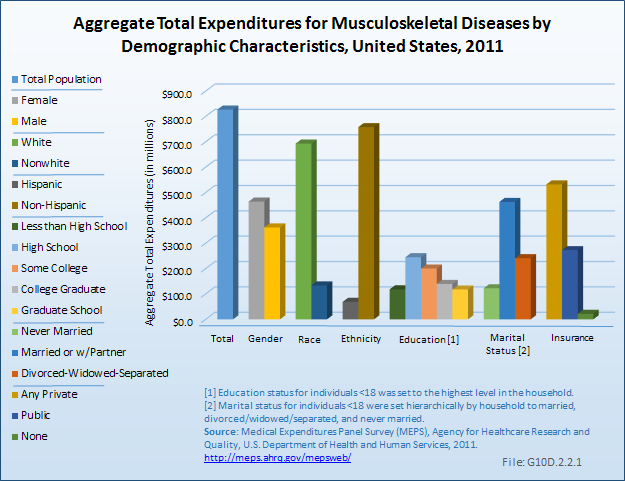 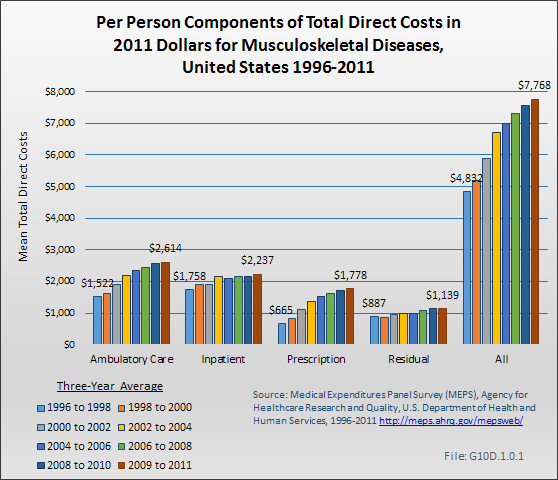 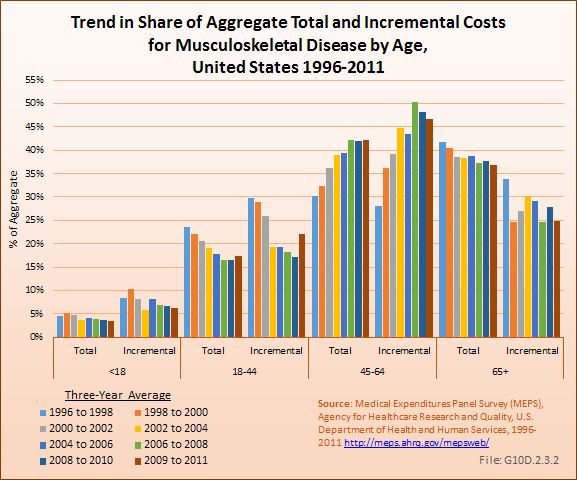 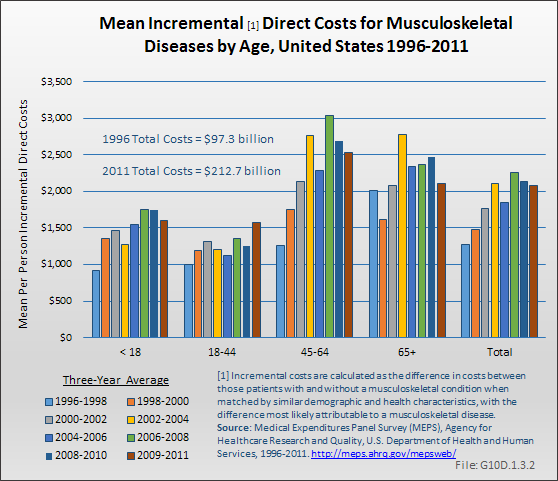 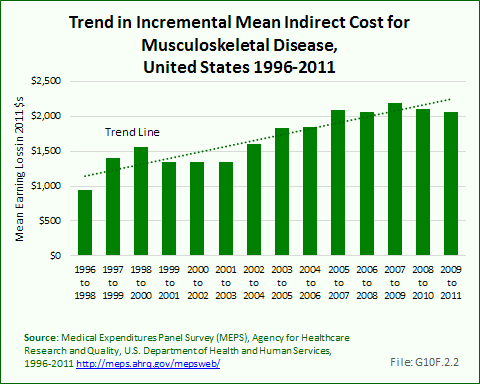 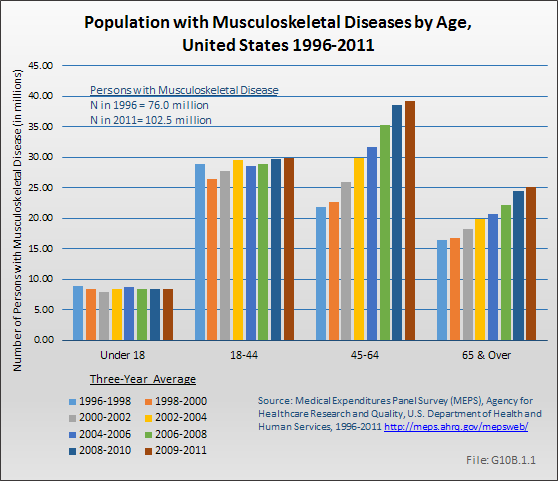 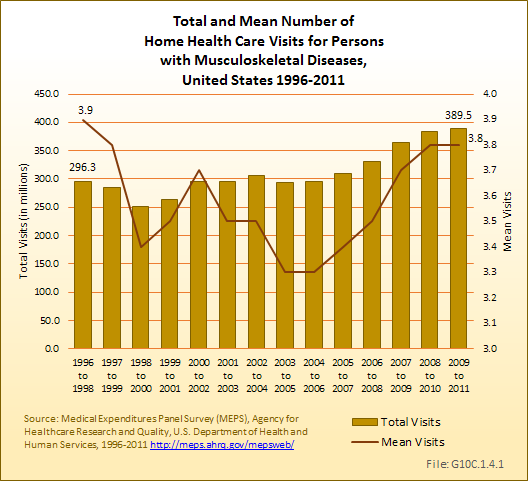 Total aggregate medical care expenditures among persons with musculoskeletal conditions have risen substantially due to population aging as well as the general increase in medical care costs. 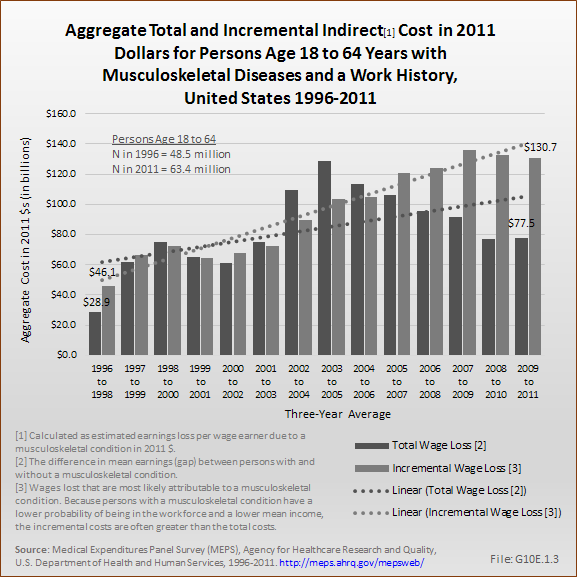 In 2011 dollars, total aggregate expenditures increased between 1996 to 1998 and 2009 to 2011 among persons 45 to 54 years from about $111 billion to $336 billion, while they increased among those 65 years and older from about $153 billion to about $294 billion during this time. 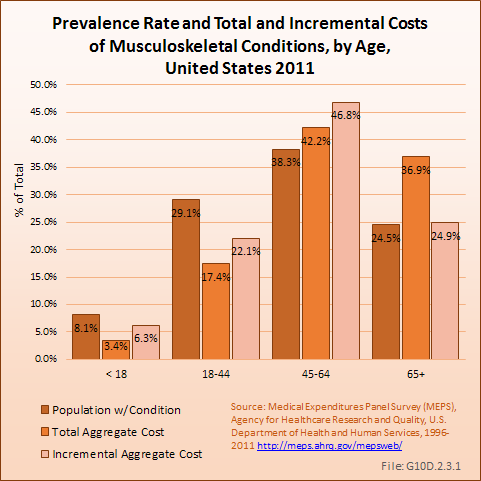 Although total per person costs increase with age, the magnitude of the increase was greater in relative terms among persons 45 to 64 years with musculoskeletal conditions (from $5,078 to $8,568, or by 69%) than among such persons 65 years and older (from $9,286 to $11,708, or by 29%).